On August 31, 2018 NIPOSTNIG launched the Digital Addressing System (DAS), a proper address verification system for every Nigerian. Minister of Communications Dr. Adebayo Shittu said that DAS will boost e-commerce and "reposition NIPOSTNIG as a top revenue generating agency within two years." For DAS to succeed, the Service is partnering with other relevant agencies @nimc_ng , @FRSCNigeria, @NgComCommission, and banks and are asking interested applicants who wants to be an AVS (Address Verification System) Field Agent for @NIPOSTNIG ? Send an email to them. 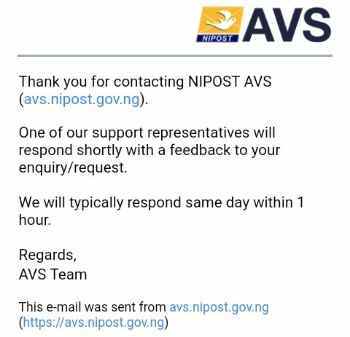 However most of the applicants are finding it difficult to contact NIPOSTNIG through email as requested and some who did are still waiting for NIPOSTNG reply to their email. On that point, we have decided to create this article to help you understand how you can simply contact NIPOSTNIG through their email address. 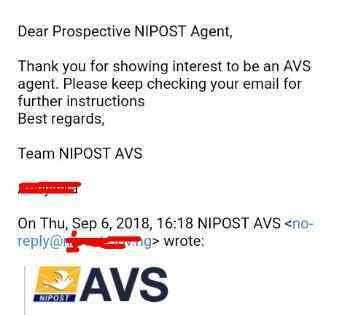 The method which prospective AVS agent can contact NIPOSTNIG for inquiries is not through the normal email sending method. NIPOSTNIG has a direct link on their website which you can click and directly email them.